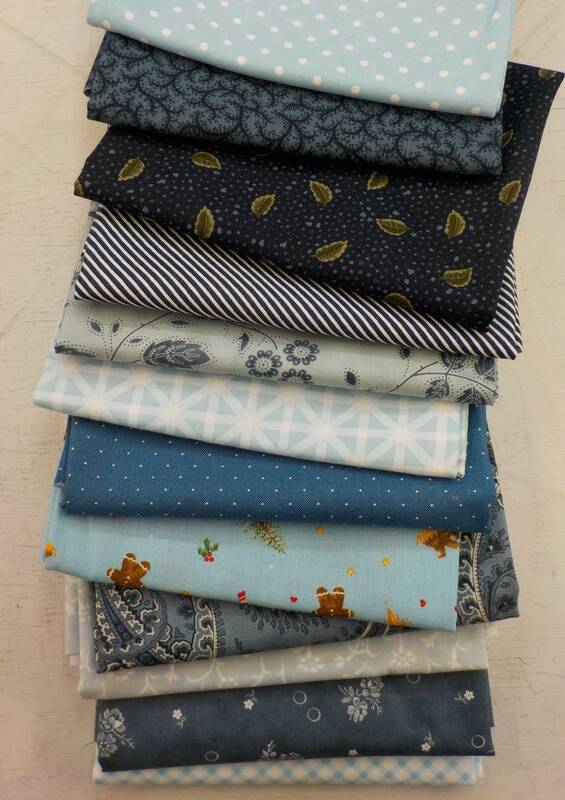 Blue Christmas...12 fat quarter bundle...exclusive grouping. This collection of 12 blue wintery prints. 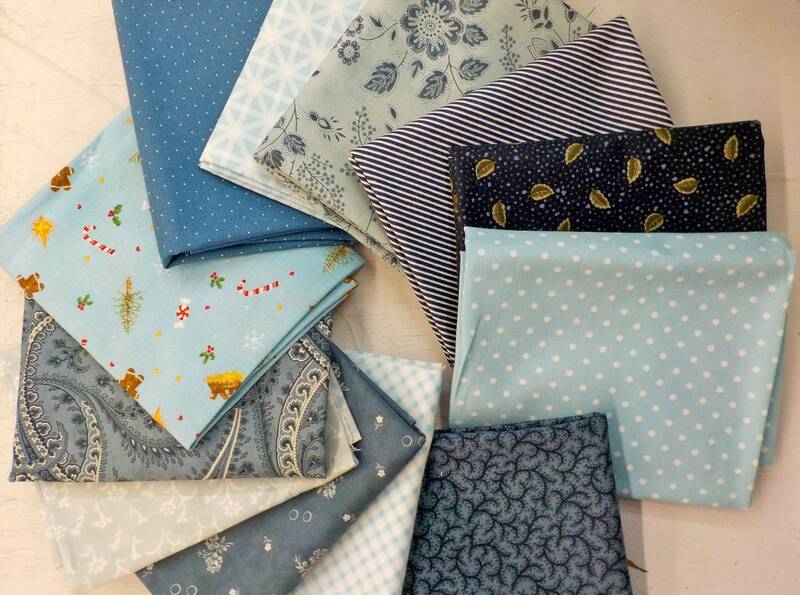 This bundle is inspired by the pure blue sky of winter and the hugs from family that are no longer here. 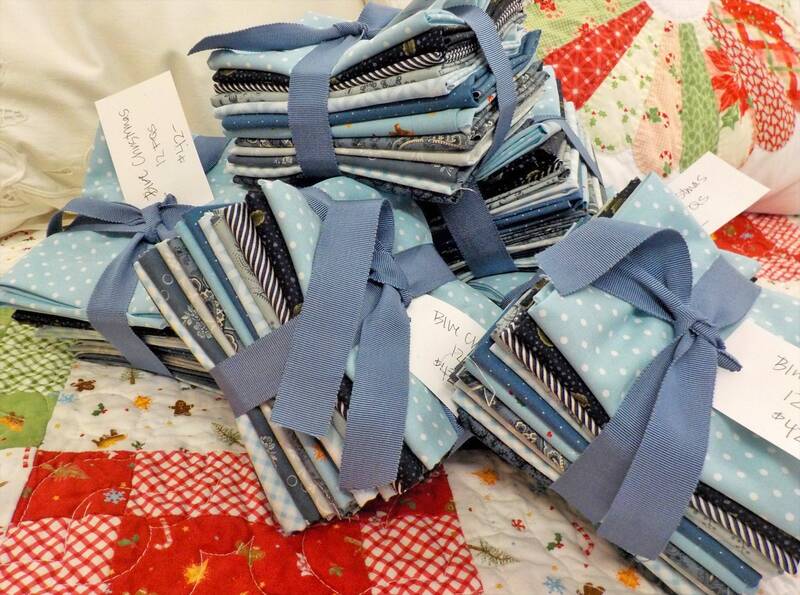 A quilt whipped up out of these blues would be a perfect way to remember them. Cuddling up under these blues will surely chase away any sadness this winter season.